Putting that policy into practice, at IMEX in Frankfurt this year, the range of opportunities for event planners to try out and learn about event technology is greater than ever, so too the range of technology providers at show. Research carried out for IMEX by Meeting Professionals International (MPI) last autumn quantified the untapped potential. 92 per cent of meeting planners think they are not making the most of technology solutions. “So many of the benefits that technology can bring to our industry are still untapped potential; we want to help event planners to see and understand what technology can do for them,” says Carina Bauer, CEO of the IMEX Group. As part of its commitment to finding new ways to help audiences access and understand new technologies, IMEX has partnered with Berlin based start-ups ZEUS who will run their EventTech Academy as part of the show’s new EduMonday programme. Tech experts and entrepreneurs will share personal and engaging insights into event technology today and anticipated tech trends over the next five years. The sessions will take place on EduMonday and throughout the show in English and German. On the show floor, the technology area is the largest to date with many new exhibitors. The sector’s leading businesses will be there with new products and services, many with larger stand space this year. The choice of potential suppliers is vast and covers every need and they feature innovative ideas using, for instance, hologram technology. At the heart of the technology section of the show floor will be the TECHknowledge Area, powered by The Meeting Pool. It is dedicated to helping buyers with advice and honest opinions from experts about the right tech for an event and offering the chance to touch, test and try the latest gadgets such as wearables, Virtual Reality and more. What’s more, throughout the show there will be 15-minute TECHbyte mini sessions with tips, tricks and time for personalised questions. 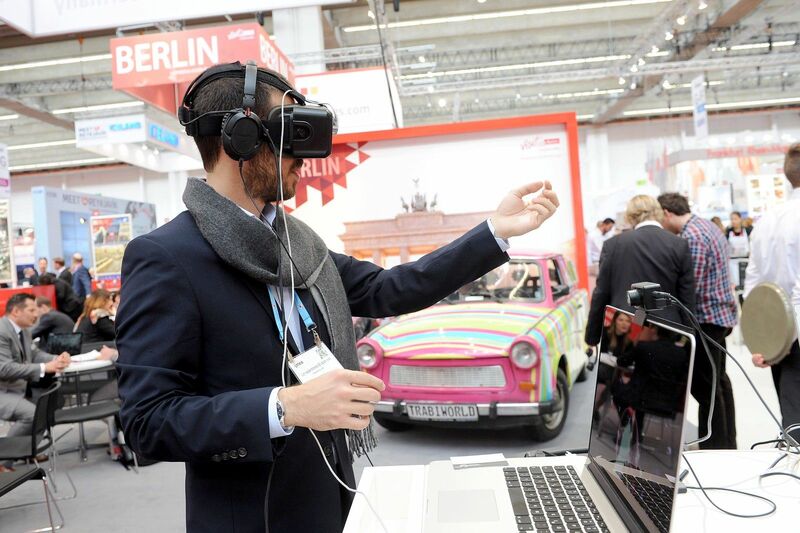 IMEX in Frankfurt has also created an initiative to help buyers sample a cross-section of technology solutions at the show through EventTech Tours. Participants will receive a guided tour of a variety of exhibitors during the hour-long tours, which run throughout the show and are in both English and German. Each year the #IMEXpitch gives IMEX visitors the chance to see various technology start-ups compete for audience attention and votes. This year’s line-up will include technologies dedicated to business networking, streamlining travel, audience interaction, crowdsourcing of content and the better and faster use of data through AI. Each company has five minutes to put forward its product, including the concept, features and unique selling points, to a live audience. The winner, chosen by an expert judging panel, receives free exhibition space at the following year’s show.